You’re busy. Your to-do list is piling up. You run from meeting to meeting, with barely any time for coffee in between. You even have a passion project on the side, but haven’t found the time to work on it. We get it. We’ve all been there. And if there were 27 hours in the day, that to-do list would probably be half the size. But thanks to the ancient Egyptians, we’re stuck with 24 hour days. The question is: How can we maximize our time and minimize our to-dos? 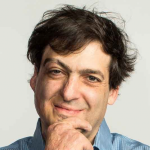 To get to the bottom of this, we sat down with our Chief Behavioral Officer Dan Ariely, and asked him: What’s the science-backed trick to boosting productivity? His answer? Work smarter (not harder) by leveraging your most productive time of the day. In other words, figure out when your brain is at its most productive, and use those hours wisely. Turns out, not all hours of the day are created equal. There are some points during the day where our brains are on fire, and other points where our bodies would do anything to take a nap (blame it on science). Your body runs on a clock (it’s called a circadian rhythm, in science speak). This internal clock causes mental and physical changes in your body throughout the day. It influences things like when we feel tired, hungry, and even productive. If you call yourself a morning person, chances are your peak productivity hours are in the morning. If you’re a night owl, your brain is probably firing on full cylinders later in the afternoon. Professor Ariely’s advice: Find your productive period, treat it as holy, and use it to focus on tasks that require deep thinking and tons of energy. Don’t believe it? Check out this analysis by the marketing firm Priceonomics. Researchers looked at project management software data to see when most tasks got done. They uncovered that most of the 28 million tasks were completed between 9 and 11 a.m. But take note: While the majority of us are most productive between 9 and 11 am, this isn’t the case for everyone. Everyone’s brains and bodies are different. Luckily, discovering your most productive hours depends on some basic physiology. This is easier than it sounds. To find your productive period, you’ll simply need to take note of the physiological clues your body gives you throughout your day. How? Start by creating a log, where you track (1) how alert you are, (2) how much energy you have, and (3) how productive you feel, on a scale of 1 to 10. For best results, do this hourly. Ask yourself, do I feel sharp and focused, like I could conquer the world (aka, a 10)? Or dull and groggy, like I just woke up (a 1)? By putting numbers behind your physical and psychological state, you’ll be able to accurately compare your results over time. After doing this for two weeks, take a look back at your records. Try to identify patterns: At what points of the day did you consistently rate high on the scale? This’ll show you when you’re usually at the top of your game. These are the most important hours of your day. Now that you’ve figured out your productive period, you’re all set, right? Not quite yet. This concept points us to yet another productivity trick: Take breaks. As we’ve learned, our bodies don’t allow us to experience peak productivity every moment of the day. Quite the opposite: giving ourselves a break will boost our productivity in the long run. Think of your brain as a battery. Downtime will rest, recharge, and reinvigorate it. In fact, research shows our bodies transition from a state of alertness to tiredness every 90 minutes. (NYTimes) Your brain can be productive for about 90 minutes, and afterwards, you’ll start to feel restless and not focused. Sound familiar? When this happens, your body is trying to tell you it’s time to take a break. It’s tempting to ignore these signals, continue working, and even try to offset them by drinking coffee. But turns out, forcing yourself to work through these energy slumps will only cause you to be less productive in the long run. So when your body’s telling you it’s time to rest, take a walk, meditate, or chat with a coworker. 1. Prepare yourself for your tasks beforehand. Perform any research or analysis the day before, collect the tools you’ll need, and have a plan of action for getting your work done. 2. Limit distractions during your productive hours. Take active steps to isolate yourself from others in your office, or invest in a good pair of headphones. Disconnect from social media, email, and even stop looking at your phone. 3. Steer clear of multitasking. Countless studies show that your brain can’t actually handle more than one activity at a time. 4. Plan your day around your productive period. If you’re most productive in the a.m., get to the office early so you’ll be ready to go in the morning, and head home before you hit that afternoon slump. 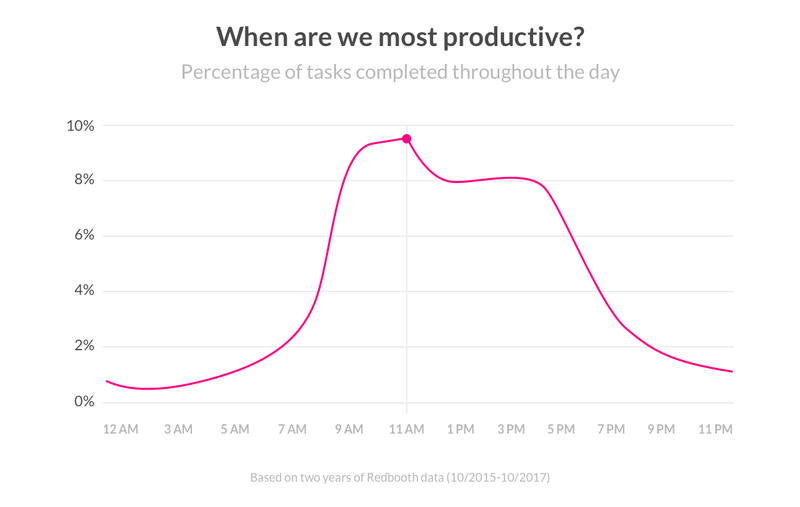 The trick to hacking your productivity is doing your most difficult tasks during your productive period, so you can work smarter and accomplish more. Get to know your body. 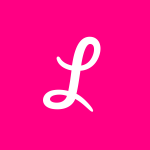 Gather data and track how you feel so you can pinpoint your most productive hours. Prioritize your most difficult, important, and significant tasks during your productive hours. Work in intervals and don’t force yourself to work when you’re not focused. Listen to your body and take frequent breaks to keep your mind fresh. Prepare for your productive hours, and avoid distractions so you don’t waste a second of productivity time.